Total Heating & Air Conditioning, Inc. is proud to serve the Prospect Heights community! About Prospect Heights, IL - Happy to be your hometown Heating & Air Conditioning Contractor! Situated in Cook County, Illinois, Prospect Heights is a medium-sized city with an estimated population of more than 16,400 residents. Consisting of three constituent neighborhoods, it is the 155th largest community in the state of Illinois with majority of the population employed in a mix of both blue and white-collar jobs. In 1935, Allen Dawson and Carlton Smith, two young developers, built the first homes along Elmhurst Road as the beginning of a well-planned community that would accommodate depression weary families. The following year, the first family moved in and by the end of the year, there were six homes in the pleasant rural setting soon to be called Prospect Heights. The Prospect Heights Improvement Association was formed in 1938, which served as the community’s virtual government for 38 years. By 1955, unincorporated Prospect Heights grew massively with the number of homes reaching 600. During the 1960s, many problems were faced due to the boom in development, and so the PIHA decided that incorporation was the only way out. More than 50% of the population voted in favor of incorporation and as a result, the city of Prospect came into being on January 31, 1976. After incorporation, the city continued to grow and assumed a new character. As of today, the city houses many single-family half-acre homes, a multifamily area and increasing numbers of commercial businesses and centers, boosting economic development. 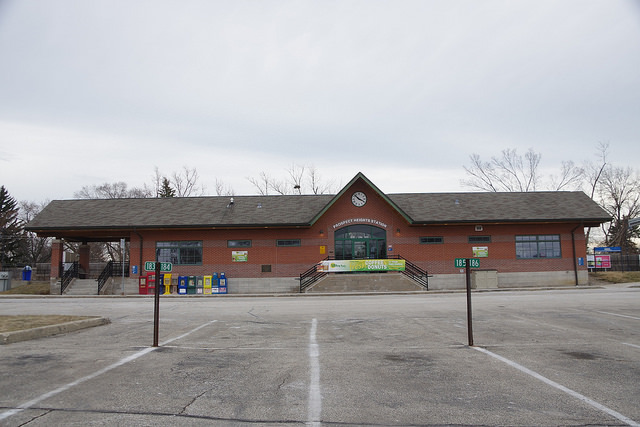 Prospect Heights is serviced by PACE buses and two Metra lines that operate from different stations located throughout the city - this makes travelling around the city hassle-free. The Prospects Heights School District serves the students of the city, which includes four schools namely, MacArthur Middle School, Betsy Ross Elementary, Dwight D. Eisenhower Elementary and Anne Sullivan Elementary. Moreover, with Township High School District 214 serving the city, students can choose to attend either John Hersey High School or Wheeling High School. The city receives about 38 inches of rain and 35 inches of snowfall per year. The average high in the summer months is around 84 degrees, which means having a reliable air conditioning system is essential to beat the heat. Moreover, as the mercury drops as low as 18 degrees in the winter months, it’s highly recommended that residents have a heat pump installed so that they can make it through the day comfortably.